Coventry City: Murphy, Clarke, Cameron, Baker (c), Fleck, Ball, Wood, McGoldrick, Moussa, Reckford, Bailey. A disposizione: Dunn, Hussey, McDonald, Jennings, Elliot, Christie, Edjenguele. 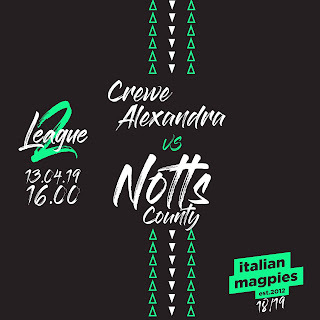 Notts County: Bialkowski, Liddle, Leacock, Eastham, Stewart, Boucaud, Bishop (c), J Hughes, Arquin, Campbell-Ryce, Zoko. A disposizione: Pilkington, Mahon, Bencherif, Sheehan, Nangle, Showunmi, L Hughes.